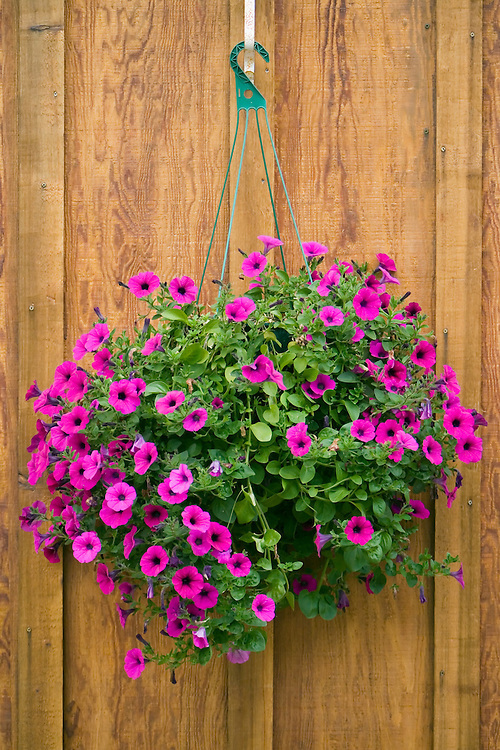 A basket of hanging petunias outside a house in Kake on Kupreanof Island, Alaska in the Southeast. The long hours of daylight in the Alaska summer make plants grow abundantly. Evening.